As prices for property in Sydney and Melbourne hit all time highs, savvy home owners are cashing up and moving to coastal, regional areas to make the most of their hard earn dollars with sunny Queensland at the top of their list. Queensland has often been a popular holiday choice for Melbourne and Sydney city dwellers to take advantage of our glorious sunny, warm weather when winter sets in south of the border. However, with house prices in Sydney and Melbourne at all time highs, sunny Queensland is also becoming a popular choice for over 55’s cashing in on their inner city property and making the lifestyle change for a fraction of the cost. As report by Jennifer Duke for Domain (Jan 2017), the average median house price in Sydney is just over $1.1million. Melbourne isn’t too far behind at a median house price of close to $795,000. It was also reported that by the end of 2016, Sydney’s median house price climbed more than 10 per cent. In comparison, regional areas of Queensland such as Gladstone, CQ have seen an extended corrective period in the housing market, with four bedroom lowset brick homes going for as little as $250,000. During the mining boom period, the same dwellings were achieving prices of $450,000+ with high rental yields to match. While the boom has come and gone, for savvy investors and home owners, there has never been a better time to make the switch. People moving to regional areas aren’t disadvantaged either. There are plenty of new aged care and over 55’s sites available, with new projects set to be rolled out in the next few years. Gladstone Regional Council is has recently submitted a development application for the proposed Philip Street Communities Precinct. Philip Street is a 27 hectare site that is planned to be developed to satisfy a number of social infrastructure needs for Gladstone in a pleasant parkland setting, with more than 50 per cent of the site planned to be retained in its natural form as noted on the council website. And it doesn’t stop there – the local Gladstone Base Hospital is also undergoing a $42million upgrade to bring further health services to the region. Moving north of the border doesn’t mean you sacrifice the coastal lifestyle. There are plenty of regional communities dotted along the Queensland coastline, each offering something different to satisfy a diverse range of tastes. The Sunshine Coast has become increasingly busy, and in some aspects has lost the relaxed coastal appeal of the late 1990’s. 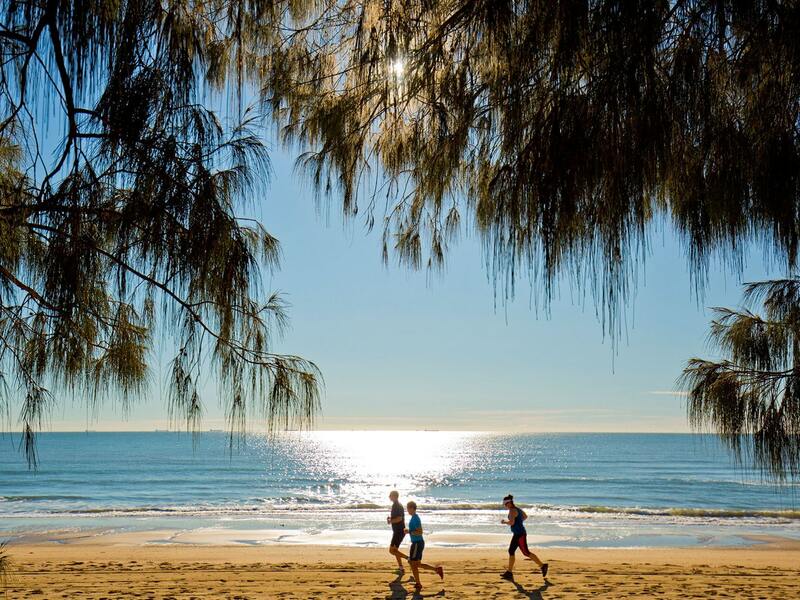 Towns such as Tannum Sands, Boyne Island, Agnes Water and Seventeen Seventy in Central Queensland have taken up the slack and provide residents with appropriate health care and infrastructure, but without the hassle and traffic congestion of its souther coastal neighbours. There are plenty of options for buyers in regional areas and most estates can offer a mix of large scale and smaller lot freehold housing as well depending on the individual’s needs, lifestyle and budget. Master planned communities are increasingly popular as well with their family friendly design, landscaped gardens and manicured open spaces ideal for an active outdoor lifestyle. Who wouldn’t want to live up here in sunny Queensland! If you are retiring, the opportunity awaits for you to cash in on your property in Sydney or Melbourn while you can, and make the move up north and really start living the retirement lifestyle you’ve been saving for.